Don Slime (ドン•スライム Don Suraimu) is a mysterious Food Spirit and a traveling companion of Jiji. 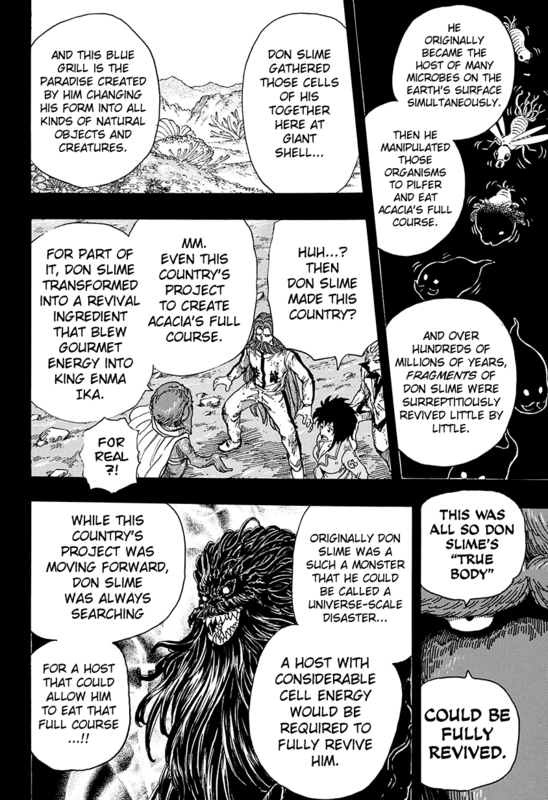 Despite being a Food Spirit and with some people being unable to see him, Don Slime is the King of Blue Grill, thereby making him the symbol of Blue Grill's civilization. He is the former Appetite Demon of Ichiryuu. Destroyed the moon by jumping off the Earth 1, 2. Black Lightning (黒い稲妻 Kuroi Inazuma): Swinging down his knife, Don calls down black lightning. Jet Black Tornado (漆黒の竜巻 Shikkoku no Tatsumaki): With a swing of his knife, Don creates a twister to trap his opponent. 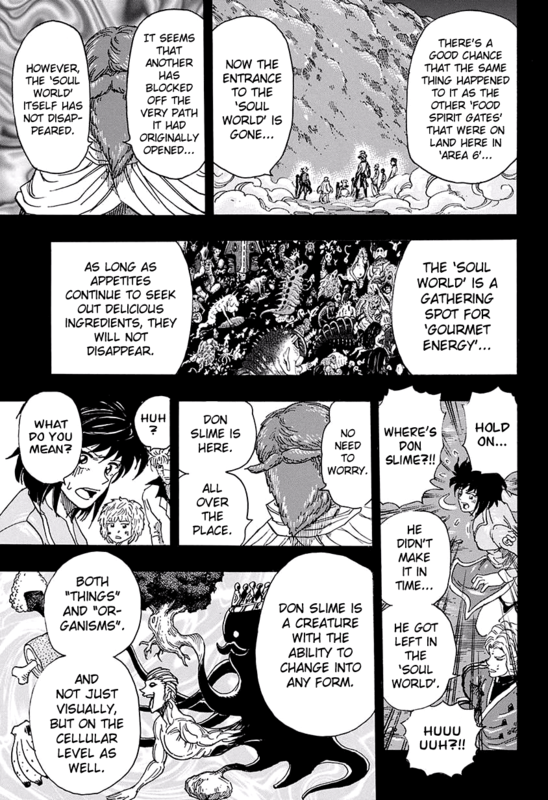 Black Grater (黒の卸し金 Kuro no Oroshigane): Don raises a bed of spikes. Tornado Grater (竜巻卸し Tatsumaki Oroshi): With Jet Black Tornado, Don drags his opponent along the spikes. Rain Down – Torrential Disaster (降り注げ 災害豪雨 Furisosoge - Saigai Gōu): Don enlarges his muscles, covers his arms in meteors, and then calls down a storm of meteors.